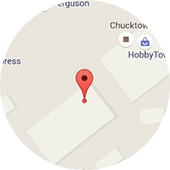 We have two wheelchair accessible locations in Charleston and in Summerville, SC. A husband-wife team adds another dimension to its relationship: practice owners. Call us for your free hearing evaluation! Our mission is to improve the lives of people with hearing loss through better hearing. We provide comprehensive hearing care services including complete hearing evaluations, hearing loss rehabilitation, and counseling for adults. In addition, we provide management and treatment of tinnitus. In order to meet your individual hearing needs, we may referrer you for medical treatment, if indicated or recommended hearing aids or other assistive listening devices. 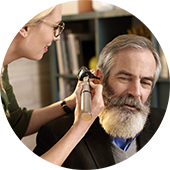 We dispense a full selection of hearing aids included the best and latest technology. Serving the hearing needs of Charleston since 2003. We help you understand your hearing health so you can make better decisions. Hearing protection and hearing loss prevention are key components of audiological care. Through consultation on the effects of noise on hearing, community outreach talks, hearing screenings, and the dispensing of hearing protection devices, we strive to educate our patients and the general public of the importance of hearing and how to protect it. Our educated, experienced staff is dedicated to providing you with the highest quality of hearing care in a personalized, caring environment. We are proud to have served the hearing needs of Charleston since 2003. We have two convenient, wheelchair accessible locations with free on-site parking. We understand that an educated patient is our best patient.